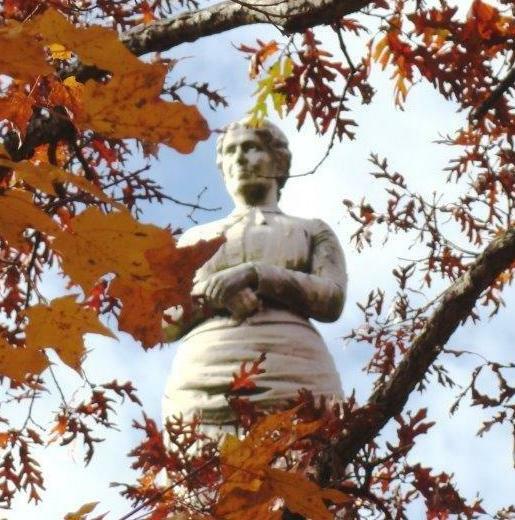 One of the most prominent monuments in Oak Ridge Cemetery serves as a reminder of a thoroughly unconventional religious sect that got its start in Williamsville. 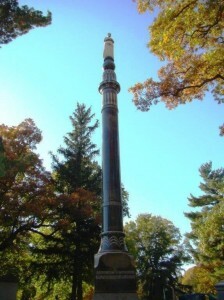 The monument consists of an eight-foot-tall marble sculpture of a woman atop a 40-foot black granite column. A small stone separate from the column lists the spot as the grave of one Mattie S. Rayburn, “wife of W.H. Rayburn.” Mattie was born in 1836 and died in 1891, according to the stone. On the base of the column is engraved “Bishop and Mrs. Rayburn,” followed by “What therefore God has joined together let not man put asunder Matt. 19 Chapt. 6V”. However, the true identity of the woman, whether she actually was married to W.H. Rayburn, and even how the monument was paid for are all open to question. And “Bishop” Rayburn isn’t buried there anyway. The Rev. William H. Rayburn (1836-1930) originally was a conventional Methodist preacher, married with two children. He was serving in Williamsville when his theological views — and his open dalliance with a woman identified only as “Mrs. 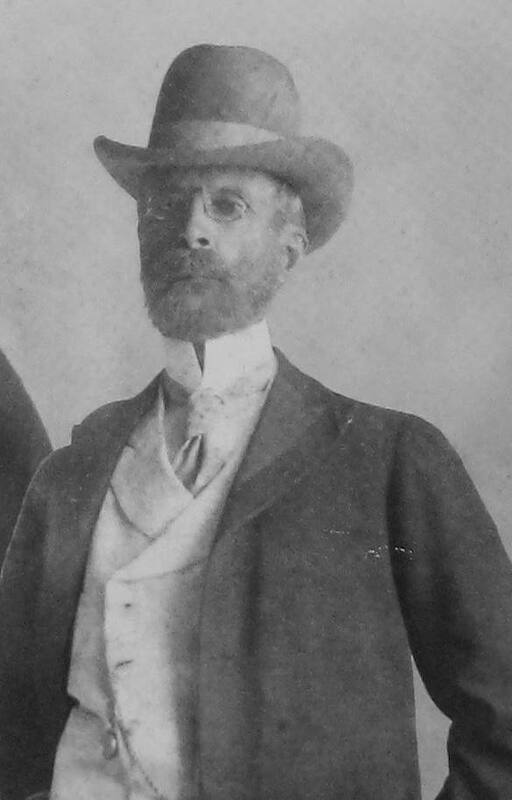 Redfield” — led to his being deposed by the Methodist conference. Rayburn apparently abandoned his family to remain with Mrs. Redfield. He also continued to preach his own doctrines in the Williamsville area. 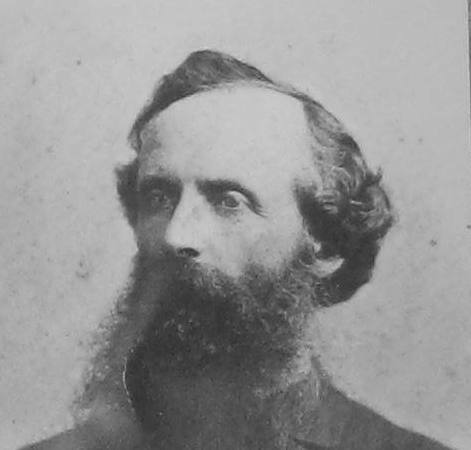 In 1876, the Methodist conference sent another minister, Rev. C.A. Obenshain, to Williamsville to preach against “Rayburnism.” Obenshain, however “caught the disease” himself and the Methodist conference deposed him as well. The two preachers nonetheless started to build a following, especially near Williamsville and in Schuyler County in Illinois, but also elsewhere. The Illinois State Register published a generally positive article on Oct. 20, 1883, after interviewing Rayburn and Obenshain. 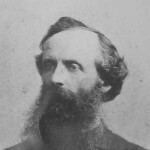 Mr. Rayburn left the Methodist conference in 1868, while pastor of the Williamsville circuit in this county, his peculiar doctrines being not considered orthodox. There have been quite a number of his Williamsville church who have stuck to him ever since. … He has … preached in California, in the eastern states and has made three seperate (sic) trips to Europe, the first time in 1880. … He reports the success of his ministry to be flattering. In the interview, Rayburn and Obenshain denied reports that they supported “free love,” but confirmed that they practiced faith healing. The Register writer found Rayburn, in particular, to be an attractive man. The personal appearance of Bishop Rayburn is rather striking. … (H)us very marked style would denote him to be a preacher, and one too, who had a good opinion of his own personal appearance, which it would be hard to convince him was not fully shared by the ladies of his acquaintance. In fact, the bishop’s general “get up” would denote him to be a “killer” of no mean powers, should he choose to exercise them, which of course we do not for a moment believe he would do. Rayburn and Obenshain needed some positive press coverage by October 1883. Their sect, known as the Pilgrim movement, had set up headquarters in the tiny Schuyler County town of Erwin (which no longer exists). However, members of the church had had several run-ins with local opponents, and in September 1883 the Pilgrims’ temple was blown up. The bombing was thought to have been an attempt to kill Obenshain, who lived in the building. The New York Times had taken notice of the Pilgrims on Aug. 25, 1883, publishing a story that reported that some Pilgrim ceremonies were “simply orgies of unrestrained promiscuity.” What’s more, according to the Times, Obenshain also had promoted Rayburn from Pilgrim minister to God. If the truth is told about this society it is a disgrace to the state of Illinois and its workings should be fully exposed to the light of day, and those of its members who are guilty of crimes against the laws of the state be made to suffer their penalty. Despite the controversy, Rayburn and Obenshain continued their evangelization efforts. They increasingly began to concentrate on overseas conversions, although Rayburn and his wife — or, rather, his woman companion, whoever she was — regularly returned to central Illinois for visits. “Mrs. Rayburn” died a few weeks after one of those visits, according to an October 1891 Register story. Mrs. Mattie Rayburn, wife of the Rev. W.H. Rayburn, died last Tuesday in New York city, aged 50 years. Mrs. Rayburn, in company with her husband, who is a missionary, and the Rev. C.A. Obenshain, of Rushville, returned to New York city from a visit to Egypt and Palestine about two months ago. They visited Springfield two weeks ago, this being Mr. Rayburn’s former home. When they returned to New York, Mrs. Rayburn died. It took two more years for the monument to be prepared. The statue atop the column was sculpted by the Springfield firm of Richter and Doland, the Register reported in 1893. “(I)t is pronounced a very fine piece of work and at once recognized by all who knew her during her life,” the story said. Folklore suggests that the monument faces northeast so that Mattie Rayburn could look down on residents of Williamsville who had scorned her in life. Mattie Rayburn’s Springfield funeral took place at the duplex home of a Martha Grube at 13th Street and Moffat Avenue. That circumstance that led to more bad publicity for Rayburn in 1894, when Grube’s tenants in the other half of the house, Catherine and Christian Schliff, divorced. Mrs. Schliff, age 69, said her 70-year-0ld husband had moved in with Mrs. Grube, after which the two “conducted themselves in a lewd and unchaste fashion,” according to a report published in the July 29, 1894, Register. Mrs. Schliff declares that her husband is under the influence of a man who professes to be a preacher, and who advocates the doctrine of “free love;” that this man is one Bishop Rayburn, and that he claims to be head of the Oneida community, a free love sect in New York … Mrs. Schliff will file an action against Rayburn for money he alleges he secured from her husband by undue influences. She declares that part of the money expended in building the large $17,000 monument by Rayburn to the memory of his wife and erected over her grave at Oak Ridge cemetery in this city, was secured from her husband in that way. That story gave Hannah’s age at death at 62, although the gravestone suggests Mattie died at age 55, and the original story of her death said she was about 50. Peoria-area researchers Jerry Klein and Jack Bradley, in their 1996 book on the monument, Lusts of the Prairie Preachers, seemingly conclude that Mattie, Hannah and “Mrs. Redfield” all were the same woman. They don’t explain their reasoning, however, and Lusts in general is confusingly overwrought. Suggestively, one of the inspirations for Free Methodism was a physician/evangelist named John Wesley Redfield, who was born in 1810 and died in 1863, only five years before the redoubtable Widow Redfield appeared in Williamsville. J.W. Redfield is buried in Marengo, Ill. Whether the woman buried in Springfield is Mrs. Redfield, Hannah Funk, or someone else, Bishop Rayburn reportedly never got over her death. Aside from the giant monument, Klein and Baker claim that, although Rayburn married an English woman in 1895, he always had an empty place set at meals for Mattie. While confusing about the identity of the buried woman, The Journal’s obituary of Bishop Rayburn was evocative about his motivations for constructing the striking memorial. In this monument a remarkable man undertook to give expression to his affection for the mate who had shared his career as a preacher and church organizer. Oak Ridge cemetery was selected as the location because Rayburn regarded it as offering the most beautiful site in the territory in which he had preached. This entry was posted in Churches, Prominent figures, Women and tagged Methodist Church, Oak Ridge Cemetery, Statuary, Williamsville. Bookmark the permalink. Mr. Delco: I’m guessing you’re descended through Rev. Rayburn’s first wife, but still: Can you clear up any of the confusion about the Mattie Rayburn grave? And can you tell us anything more about Rev. Rayburn? I’d be very interested. You can answer via my direct email address, mkienzler@msn.com. Thanks in advance for any information you can provide. And thanks for reading. Schuyler Jail Museum and Genealogical Center has a paper back books Lust of the Prairie Preacher About Rayburn and his time in Schuyler County and Industry, Illinois. My Great Great Grandmother lost everything to him. Ms. Allen: Lusts of the Prairie Preachers has some problems — partly a tendency to oversensationalize an already sensational controversy, but mainly because the authors didn’t have access to today’s internet research sources. I would be interested in your great-great-grandmother’s experiences, though, if you care to share them. My email address is mkienzler@msn.com. Mattie was first married to John Wesley Redfield, a founder of the Free Methodist faith according to an article I found on J. W. Redfield–his wife was Hannah or Mattie, if you google in J. W. Redfield, Free Methodist, you might find his wife’s name in the bio. Anyway Mr. Redfield died and some articles say Rayburn was with the Widow Redfield, which all adds up. Mattie or Hannah Rayburn was the widow Redfield, widow of J. W. Redfield, founder of Free Methodist. Ms. Miller: Yes, that’s my conclusion too. Thanks for the followup.